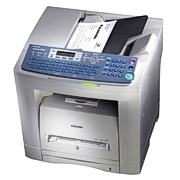 The Toshiba e-STUDIO190F is a versatile multifunction facsimile system designed for medium to large workgroups. Fax, print, and scan"scanning at the ultra-fast speed of just 0.7 seconds and printing at the rate of 19 pages per minute. Offering speed, versatility and reliability, this multifunction facsimile system truly has it all. 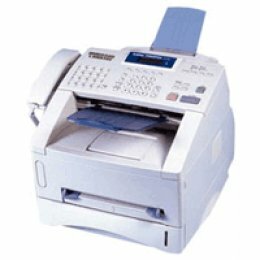 19PPM Plain paper laser output faxing, scanning, scan to email, printing and convenience copying. Dual line fax option.